This map features the US nuclear reactors and the major US fault lines. 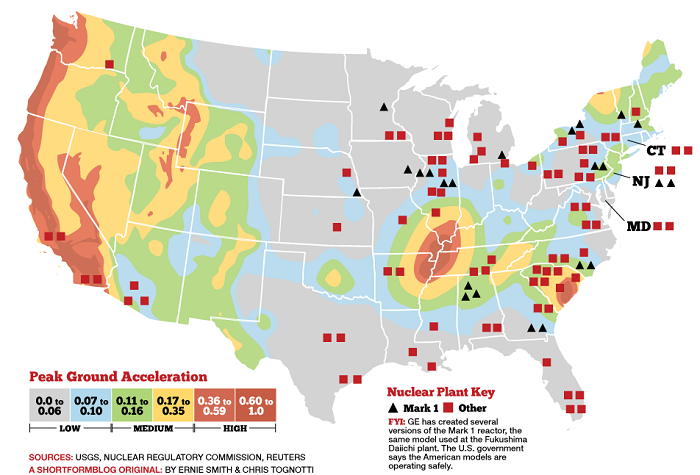 In other words, this map shows where earthquakes could result in nuclear nukes in the US. A lot of tumult has been taking place here in America over the nuclear crisis unfolding in Japan. 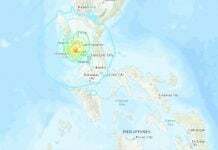 And, I bet that sometimes you are wondering about the earthquake-related nuclear devastation the US could face in case of an earthquake having the magnitude of the 2011 Japan quake which lead to the almost complete disruption of the Fukushima Daiichi nuclear plant. 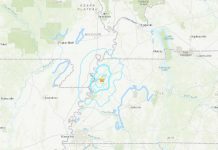 This map presents the position of the US nuclear reactors (Reuters and NRC) superimposed on a map of the earthquake risk as measured by “Peak Ground Acceleration” (PGA) which matches with that of the US fault lines (USGS). 23 US plants are presently using a Mark 1 (boiling water reactors) reactor, the same technology which was involved in the Fukushima Daiichi nuclear disaster in Japan. All are in the eastern half of the country (source). 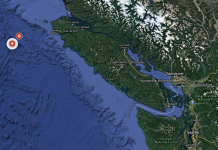 There are also eight nuclear power plants located along the seismically active West coast. Twelve of the American reactors that are of the same vintage as the Fukushima Daiichi plant are in seismically active areas. The PGA risk is what is typically used to set building codes. Most nuclear power plants are designed to operate under 0.2g PGA, and automatically shut off if the PGA exceeds 0.2g. Remember this earthquake that shut down a nuclear plant on the US east coast! The following nuclear power plants have a two percent or greater chance of having PGA over 0.15g in the next 50 years: Diablo Canyon, Calif.; San Onofre, Calif.; Sequoyah, Tenn.; H.B. Robinson, SC. ; Watts Bar, Tenn.; Virgil C. Summer, SC. ; Vogtle, GA.; Indian Point, NY. ; Oconee, SC. ; and Seabrook, NH. The bottom line is that a major earthquake would probably not result in a nuclear meltdown at the reactors on the above map, but it could present significant engineering challenges. Have you already analyzed the sinkhole hazard risk map?